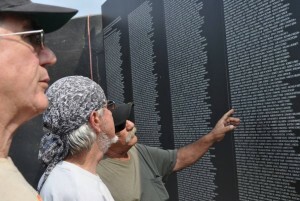 Woodring Wall of Honor and Veterans Park, Inc.
An 80-percent replica of the Vietnam Veterans Memorial Wall in Washington, D.C. was dedicated on Veterans Day, 2013. 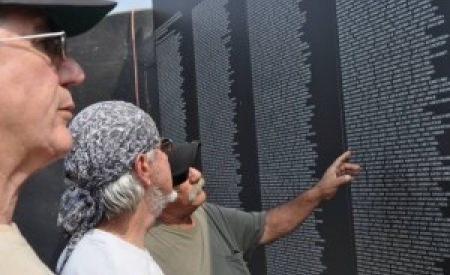 It was declared Oklahoma’s Official Vietnam War Memorial in a proclamation signed by Gov. Mary Fallin. The memorial is accessible to the public free of charge from 7 am until 9 pm every day of the year. The Living Walls across the street from the Vietnam War Memorial are dedicated to honoring and remembering our military heroes. It is for our Oklahoma veterans, active duty, retired, MIA, killed while serving or for those who have made the ultimate sacrifice who have been killed in action.